After a payment is processed through our Worldpay account, the customer does not get re-directed to our 'Thank You' message. What do we have to do on our form or on the Worldpay site so that customers will be re-directed to our 'Thank you' message? Also the email notification to us, does not work when a payment is made through Worldpay. How do we get the email notifications to work? Note the re-direct to our 'Thank You' message and email notifications both work with our Paypal payments form. Another one, is your form embedded on a website or are you using the direct Form URL to let your users make the purchase? If the above solution does not work, please do get back to us with additional details asked and we'll investigate this further. 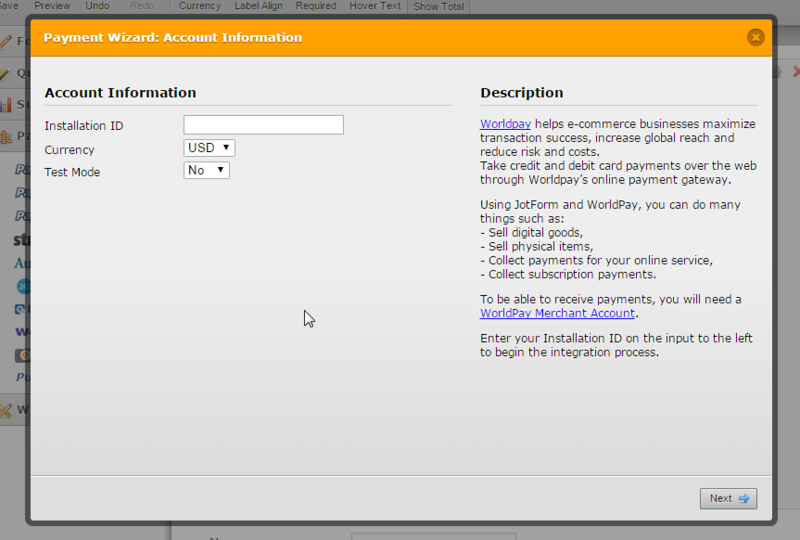 I am still not able to get a Worldpay transaction to re-direct to my Thank You page after the transaction is processed. It seems that there is no auto-redirect option provided by the WorldPay. However, you should be able to edit the World Pay Result Pages - resultY.html (successful transaction) and resultC.html (cancelled transaction). So basically you can try to add your confirmation thank you message to the resultY.html page. I have also attached a bug report ticket to this thread to see if we can do anything about the Thank You Page options on the WorldPay integrated forms. We will let you know if we have any updates on this. Thanks for this, but I can't figure out how to access the Worldpay Results pages. The link you gave me talks about being able to download the Worldpay page, but I can find where I access the resultY.html page, unless you can help me with this. Otherwise, hopefully you bug report can solve the problem from your end. I see that my colleague Mike has already created a ticket for this, a developer or one of our back end team staff will look at this see if they can fix it on their end.